Last week I attended an event that brought together two seemingly different worlds: that of the beer drinker and that of the opera goer. It was aptly called Hopera. Why record this here? Well, it demonstrates something that I think game designers out to do, which is to bring together ideas that most people don’t see as connected. Hopera was organized by two people, Melanie Esseltine an opera singer and Mirella Amato, a Cicerone (basically a beer sommelier), which together formed the perfect background and experience to put on such a great event. One of them picked the song to be performed while the other selected the beer that best captured the atmosphere (for lack of a better term) of the song. 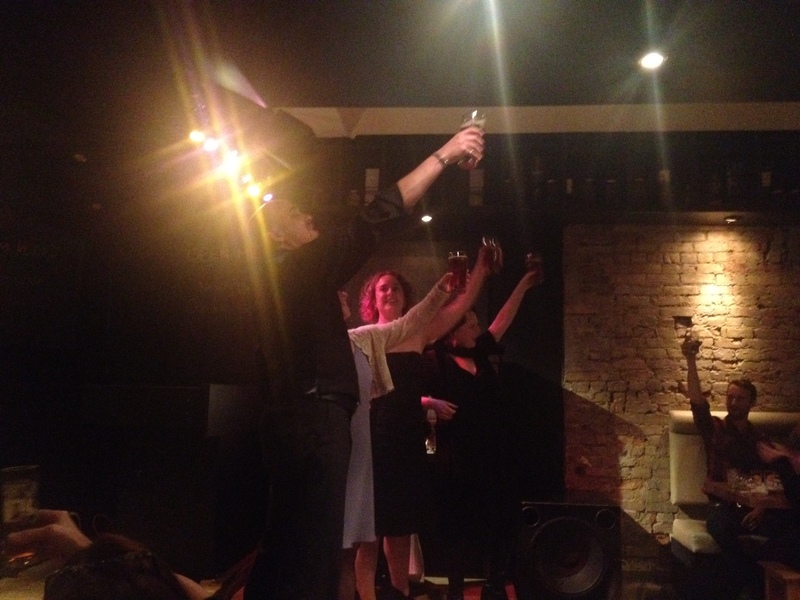 Each performance was an excerpt from a famous opera accompanied by a local craft beer. It turned out wonderfully. They introduced each performance with a description of what the scene was about to give people like me context. The beer was introduced with tasting notes accompanied by how the beer thematically connects to the opera piece. One of the many great combinations from that evening can be simulated at home. Unfortunately, without the intensity of the live performance and the atmosphere of a bar it won’t be the same. This unfiltered America-style wheat beer is light and silky. Like the smooth-talking Adele’s argument that her appearance and manners are too refined for her to possibly be a chambermaid, the crisp, bright citrus notes in this beer are not those that one might typically expect to find in a wheat beer. Now sit back and enjoy the sounds while sipping the beer. Don’t you feel classy? Sure you do! That was one of many combinations that Hopera performed. I don’t know much about opera, but thanks to the Hopera I want to know more about the art. For game designers out there think about something that you genuinely enjoy (opera?) and combine with something you know about (making games). Where are your intersections of knowledge and passion?